I’m a New Yorker. I’ve been living in Hell’s Kitchen far before it was cool. I rarely cross over Broadway to go to the other side of my island but I’m glad I did to check out an exclusive dinner at Philippe on East 60th Street to celebrate the opening of their new location in the Hamptons, Philippe East Hampton. 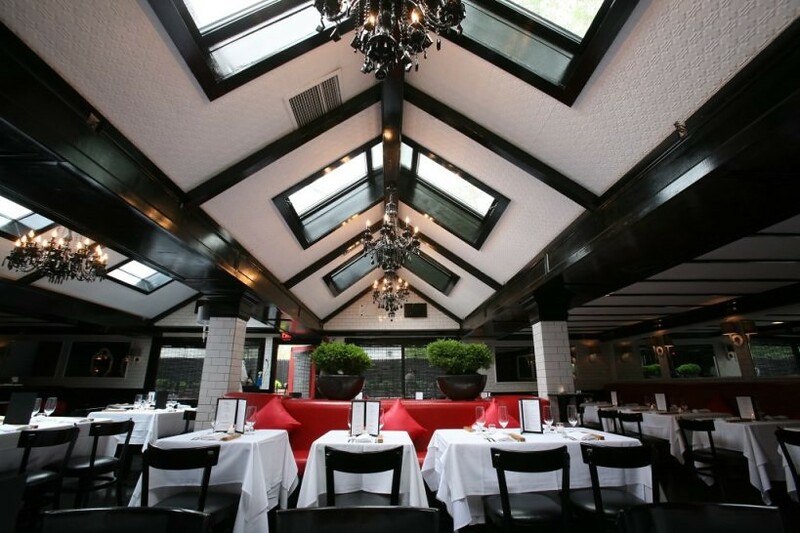 Executive Chef Philippe Chow has been serving up delicious dishes since 2005 when he left the ultra-popular Mr. Chow in LA to start his own restaurant in here in the Big Apple. With over 30 years of experience working in some of the most sought-after kitchens in the world, Chef Chow, who was born in China and has been cooking professionally since he was a teenager in Hong Kong, is known for creating modern, flavorful and signature dishes, including his world-renowned Chicken Satay and Peking Duck. 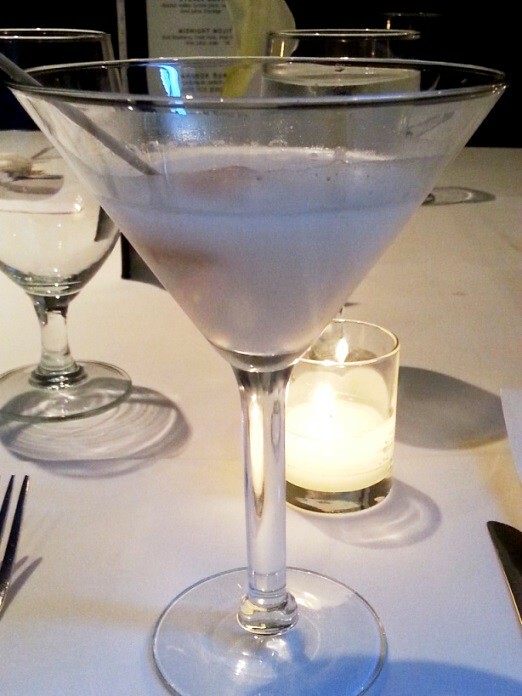 My girlfriend and I started off the evening with a delightfully refreshing Lychee Martini which we followed with a smooth Summer Light Margarita made with Tequila Avión, my favorite. 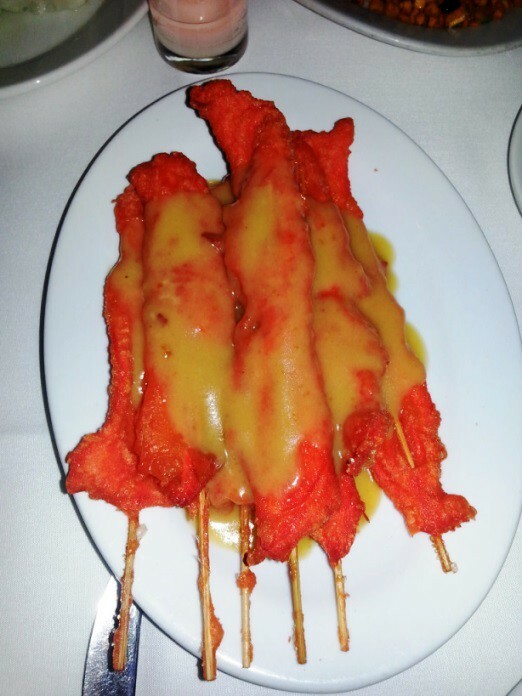 Several appetizers were then brought out, including Chef Chow’s signature Chicken Satay, which was fabulous. Other winners were the Glazed Spare Ribs, Peking Duck Spring Rolls, and their new Eggplant with Black Bean Sauce, my favorite. 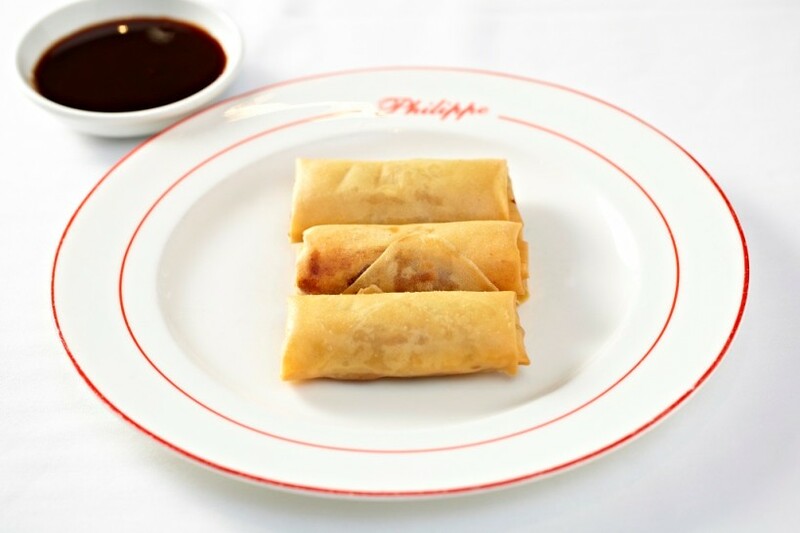 Sitting with other guests, we enjoyed Philippe’s friendly family-style service, where courses are brought to the table to be shared with everyone buffet style. 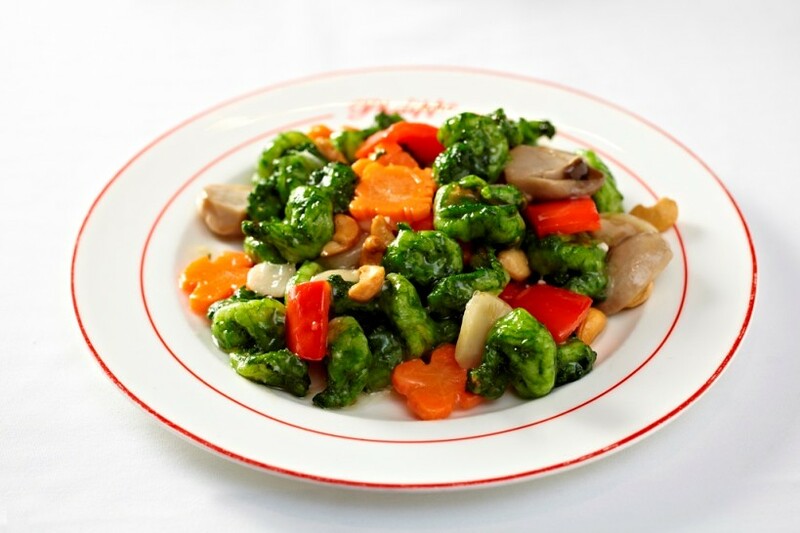 After a short break in which Chef Chow himself came to introduce himself, our main entrées were served. We had no idea there would be so much to sample from! Ten extravagant dishes were each presented to us and expertly arranged on our table. Literally a feast for kings, with Philippe’s signature Peking Duck brought out and carved tableside, the aromas were meals in themselves. Where to begin. 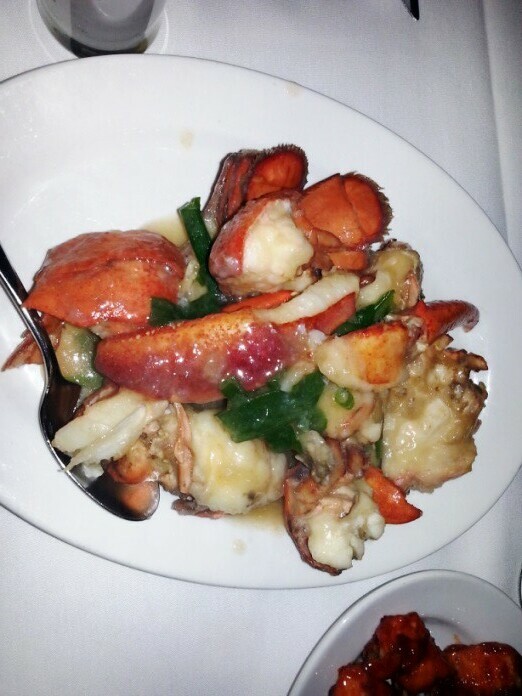 How about the fresh Maine Lobster, lightly floured, flash fried with ginger, scallions and cracked black pepper? It was sensational. The American Black Bass was just as good. Sliced thin and steamed with black bean sauce, oh my, it’s hard to describe how good it was. Other delectable dishes included their Green and Black Prawns, each marinated and sautéed in their own special sauces, and the Velvet and Beijing Chicken. Full yet? 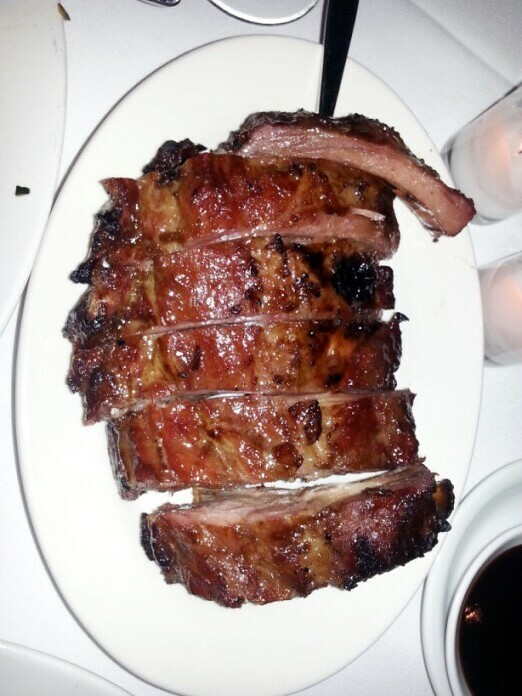 I hope not, as there’s still a lot more, including my favorite, the Filet Mignon. 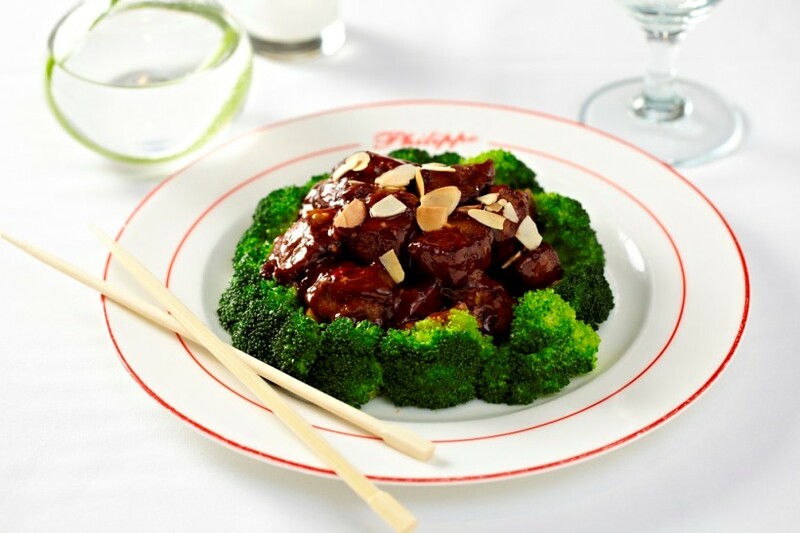 Sautéed with broccoli, brown sauce, and sprinkled with crushed almonds, I was in a culinary heaven! The Crispy Beef, thin strips in a tempura-like-batter, with a sweet orange/carrot sauce and a touch of garlic was pretty darn tasty too. 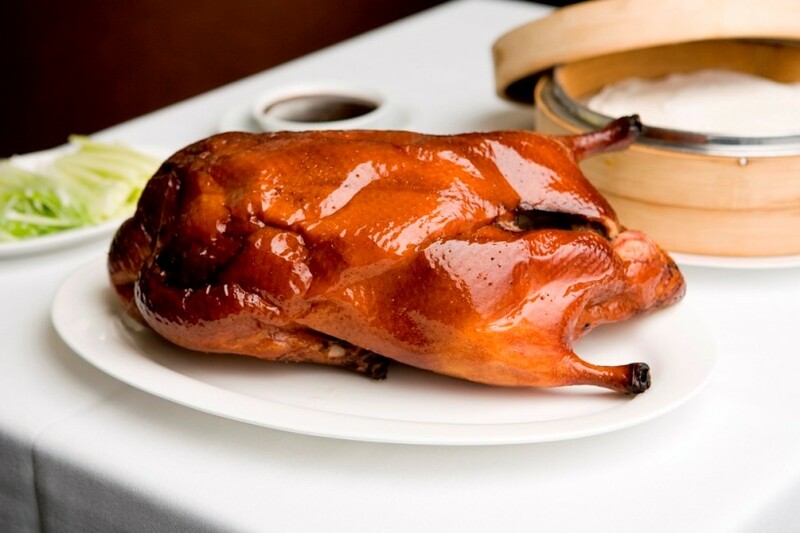 My girlfriend’s favorite though was Chef Chow’s world-renowned Peking Duck. With all this amazing food it was difficult to stop eating, but stop we needed to, as we had to leave room to try some of Pastry Chef Kostas Paterakis’ desserts. 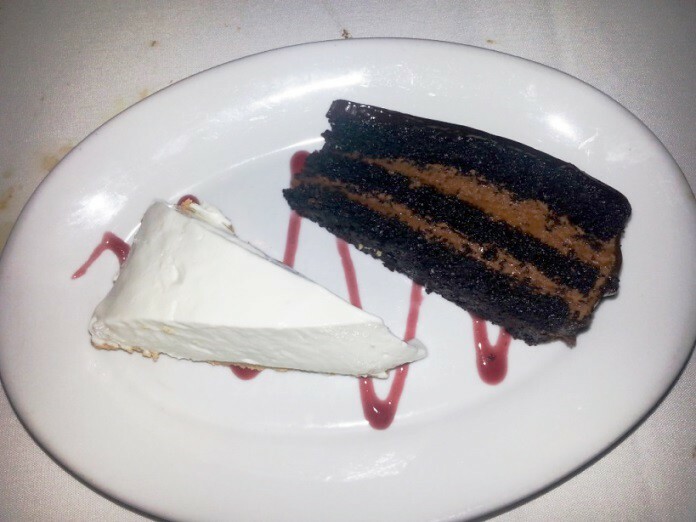 Paterakis offers American comfort food staples, like Red Velvet Cake, Warm Apple Crumb and a decadent flourless Chocolate Cake that also happens to be gluten-free. My favorite though was the Key Lime Pie. What a great way to finish off an exceptional evening! And, by the way, it was my birthday, but under orders I told my girlfriend not to say anything, as I truly hate being embarrassed in restaurants with everyone singing happy birthday to a complete stranger. Thankfully she didn’t spill-the-beans, but the table beside us had another birthday boy, and we all ended up singing happy birthday to him. 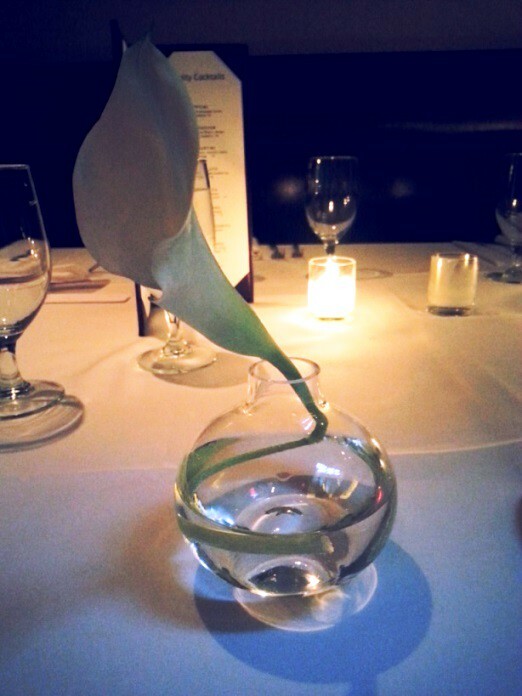 I was really impressed with the service, decor, and cuisine at Philippe. If I make it to the Hamptons this summer, I’ll definitely be checking out their new place.